You can also find indicators about Emotet by searching Twitter for #Emotet. 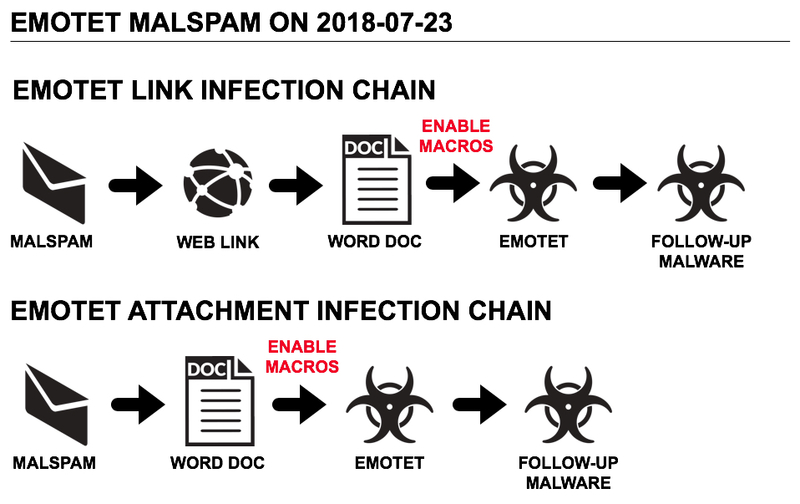 Assuming you can wade through the re-posts on the above articles, you'll find a community that tweets indicators about Emotet like URLs for the initial Word document, file hashes for the malware, etc. 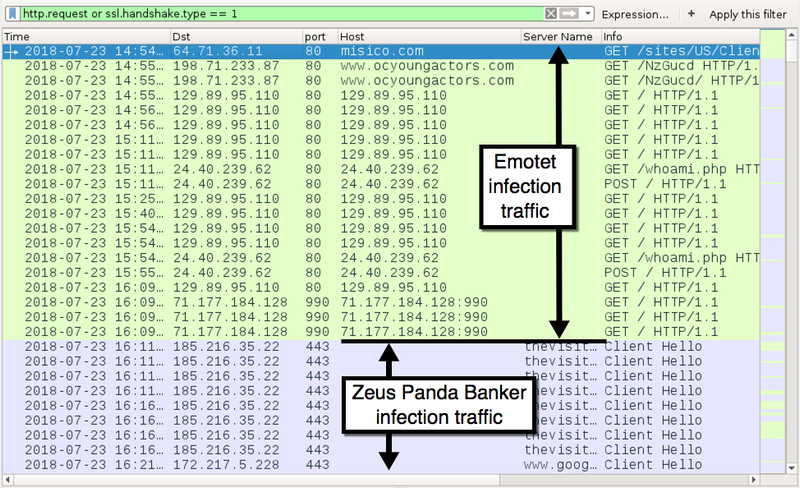 Shown above: Two different chain of events for Monday's Emotet infections. Shown above: Traffic from my infected Windows host filtered in Wireshark. The following are domains, IP addresses, and URLs from the infection traffic. A pcap of the infection traffic for today's diary can be found here.